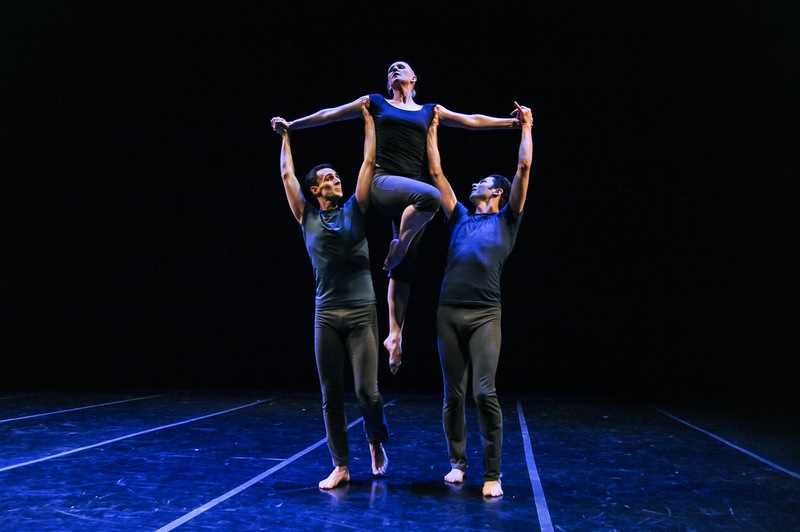 Seattle Dance Project always manages to find a good balance of restaging works from seasons past to world premieres, and Project 5 is no different. 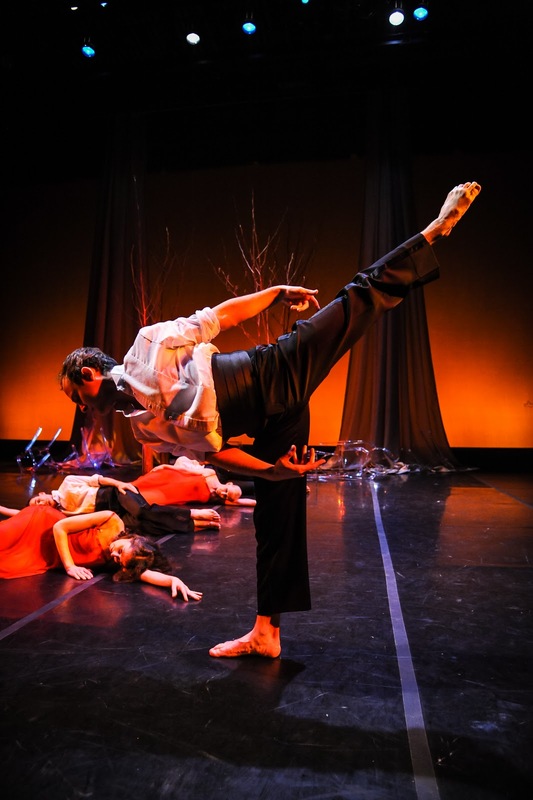 Playing for two weekends at the ACT Theatre, artistic director Timothy Lynch, along with the dancers of Seattle Dance Project, perform not just a myriad of the familiar and new, but also a rich blend of the classical and contemporary. Project 5 opens with Molissa Fenley’s feather light interlude Planes in Air, which made a marvelous debut last season, and Edwaard Liang’s To Converse Too. While the former is just as hypnotic as it was last year, the choreography in the latter lacked a lustrous finish. Beginning with calculated steps and specificity in line, fascinating play bounced back and forth between the dancers as movement originated from atypical parts of the body, epitomized in a duet between Michele Curtis and Ezra Dickinson, whose interactions took the appearance of symbiotic marionettes. That sumptuous duet was followed by a lively trio clearly led by Betsy Cooper, who seemed to issue a challenge to the two male dancers standing sentry by alighting first and practically willing them to assist her. It’s in the finale where To Converse Too became problematic, as the style and motifs established earlier completely melted away and, although a sense of liberation was gained, much was lost in a veritable tempest of movement. While the need to increase dynamism is natural, the increase in quantity of choreography muddled the intention of the work. Kent Stowell’s B6 provided some coquettish fun, as Curtis and Lynch engaged in a seductive power struggle. Curiously, with Lynch dressed in formal wear sans jacket and Curtis in black tights and a blazer, the duet took on the character of one man’s struggle with himself—or rather, “the ties that bind”—as he resisted the jacket as if to succumb to it meant resigning himself to matrimony. Curtis and Lynch attacked the sharp choreography with aplomb, with Curtis’s litheness and stunning lines accentuated by performing en pointe. With William Bolcom’s score providing an appropriately saucy atmosphere, B6 is a pleasant mix of risqué and tasteful dance. The bread and butter of the evening came in the premiere works, first in Jason Ohlberg’s Departure from 5th, which not only featured fantastic choreography, but also narration of personal anecdotes by Seattle Dance Project’s performers themselves. Ohlberg’s creation dared to expose each dancer’s individual histories in learning dance, in particular relating to difficulties in acceptance of one’s own body. In weighty, vital movements that cleverly left the audience anticipating what would come next, Departure dissected itself by presenting each dancer in solo segments, and reprising those phrases in ensemble choreography, retaining the integrity of what makes each performer unique. With three silvery fates to orchestrate the overall picture, the dancers’ words circulated around an overlying theme of accepting the things they cannot control; made poignantly clear as the fates drew a silken black cloth over them as if to signal the end of their careers as dancers. Curtis, who mentioned the difficulty in leaving the stage, was the last to be engulfed, though it was not a tragic end, as dancer David Alewine emerged from the other side bare-skinned, symbolic of the birth of a new life as a dancer. Though great risk is taken to make the dancers vulnerable, Ohlberg has constructed a coherent, personable piece the stage can barely contain. Concluding the program is Brahms Afoot, choreographed by Penny Hutchinson and set to Johannes Brahms’s “Liebeslieder Waltzer op. 52.” A collaboration with musicians of The Inverse Opera, Hutchinson’s glittering modern ballet had the added benefit of live music to enrich the performance. The scene opened with the dancers in tuxedos and ivory satin gowns, abstracting different ideas about love and romance into fluent dance. In soaring lifts, whirling waltzes, and balletic choreography (where former ballerina Gavin Larsen was at home in her element), the vibrancy of Brahms was undeniable, strengthened by a costume change for the ladies into sheer red dresses. A burst of color brought new energy, with a minor change of scenery that introduced red branches helping to re-form ideas about love as a living, growing entity. Just as all seeds eventually break through the ground to surface, love too has an ability to experience freedom. With one more weekend of performances remaining, Project 5is a visual feast of elegance that finds its strength in subtlety and affability. Tickets for the remaining performances can be purchased through the ACT Theatre’s website: http://www.acttheatre.org/Tickets/OnStage/Project5?date=1%2F20%2F2012.